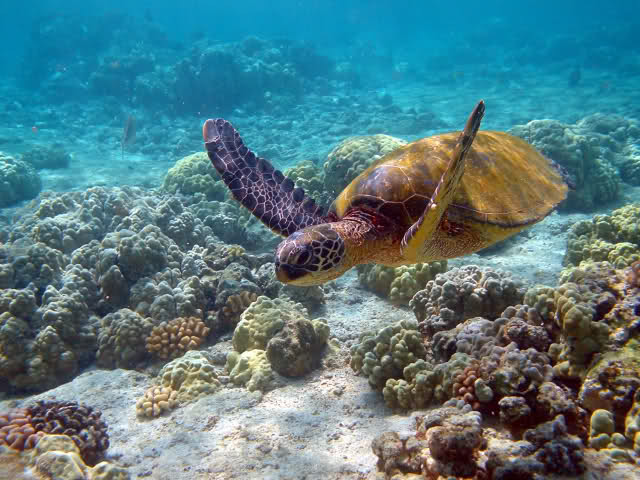 Cocos Island (Spanish: Isla del Coco) is an uninhabited island (except for the permanent ranger station) located off the shore of Costa Rica (to be distinguished from Cocos Island, Isla de Cocos, Panama in the Pearl Islands). It constitutes the 11th district (one of 13) of Puntarenas Canton of the province of Puntarenas It is one of the National Parks of Costa Rica. It is located in the Pacific Ocean, approximately 550 km (340 mi) from the Pacific shore of Costa Rica, at 05°31′08″N 087°04′18″W. 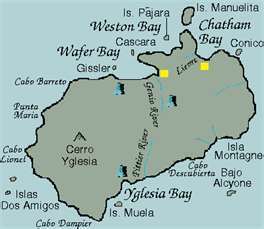 With an area of approximately 23.85 km² (9.2 mi²), about 8×3 km (5×1.9 mi) and a perimeter of around 23.3 km, this island is more or less rectangular in shape.Surrounded by deep waters with counter-currents, Cocos Island is admired by scuba divers for its populations of Hammerhead sharks, rays, dolphins and other large marine species. The extremely wet climate and oceanic character give Cocos an ecological character that is not shared with either the Galapagos Archipelago or any of the other islands (e.g., Malpelo or Coiba) in this region of the world.